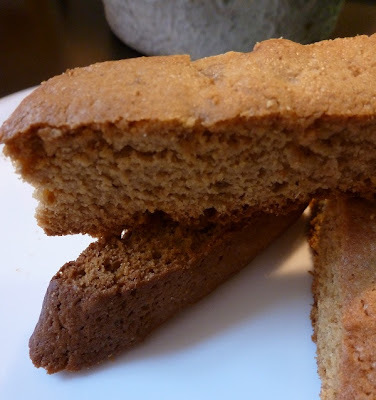 If you like ginger, and gingerbread, and specifically crystallized ginger, then you will love this Ginger Biscotti Recipe from King Arthur Flour. I love King Arthur Flour! I'm making these for food gifts for my husband's work. A little hint for mincing the crystallized ginger because it's sticky. Don't use a food processor, you will end up with a sticky ball of ginger mocking you. Use a chef's knife to mince it, and sprinkle sugar as you go. You don't need a lot, it just keeps it from sticking to the knife. I am not sure this needs any embellishment, but if you want to push up the wow factor, then dip the ends in white chocolate. Yum! Click the picture to go to the recipe.